It was announced last week the ultimate street-sleeper would be entering a limited production run priced north of £125,000. However, Inside Line are now reporting that that the Nissan Juke-R will be available in limited numbers on a build-to-order basis and priced just under $600,000. "We will make Juke-R available to customers anywhere in the world on a build-to-order basis," said Nissan America&apos;s Vice President David P. Reuter. "It is intended for serious collectors and investors who want to own a true original, an innovative project that will only be created in extremely small numbers." 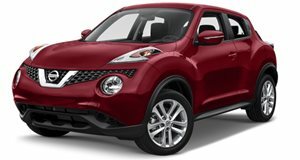 Reuter said the Juke-R will be priced from around $590,000, while according to SportAuto.fr, Nissan are planning to cap production to a maximum of 25 units. The Nissan Juke-R, for those who need reminding, is a Juke body with the guts of the supercar-killing Nissan GT-R. It uses Godzilla&apos;s twin-turbocharged 3.8-liter V6 to sprint from 0-62mph in 3.7 seconds and reach a top speed of 160mph. The original concept was based on the 2010 model GT-R, which packed a 478hp punch. The production Juke-R will feature the even more impressive engine and drivetrain from the 2012 GT-R. That means a 545hp Juke. Ordered already, the first cars will be delivered this summer to customers, including those in Dubai where the car made its global debut in January.